It's been awhile now since I posted an outfit post. This is a late post actually because it's taken last Sunday. I miss my all black outfit. I miss the goth in me. The punk. The grunge. I've been trying really hard to look common stylish. So I ditch all punk and goth clothes because I thought nobody likes it anymore. And I bought some outfit, I even borrowed my mom's, to look as common stylish as possible. So that everybody would see the soft in me, and to get more likes on Instagram. Yes, I'm superficial. But then it hits me. Something inside me is begging me to stop pretending. Something is trying to tell me that it is okay to be myself. The one who dress all black, the one who's original, the one's with smokey eye makeup and dark lipstick. It is okay to be that person. Something inside me is trying to remind me that pretending to be someone I'm not, is getting me nowhere. And here I am. Wearing all black like a little goth princess. I don't care who would like it, I don't care who stares. All I care is being myself. 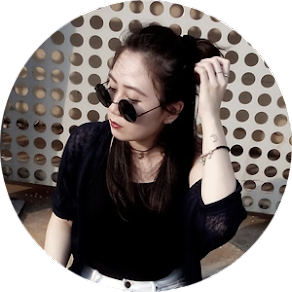 Anyway, please visit my fashion and beauty related articles at WhatWeLike. I write tons of fashion and beauty tips, collections, and events there! Get Rp 50.000,- discount for minimum purchase of Rp 250.000,- at Sociolla. Simply click the picture above and enter the code SBNLAZYS at checkout! 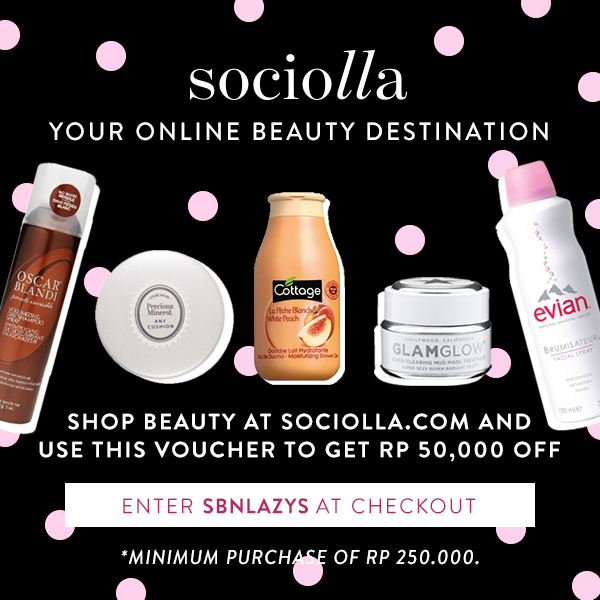 Don't forget to read my latest post about Sociolla 2nd Anniversary and get more discounts and promos!